[prMac.com] London, ON, Canada - Big Blue Bubble is proud to announce that their award winning, choked-full of rhythm gaming fun, Thumpies has officially landed on Apple's Mac App Store. With the critics raving, Thumpies has taken the iPhone by storm with its unique blend of rhythm gaming and beat matching. Fun for players of all ages, a quirky art design accompanied by a unique musical score composed by award winning industry veteran David Kerr sets Thumpies in a genre all its own. Appadvice: "Thumpies truly does reinvent the rhythm based game, and stands above Tap Tap Revenge, Rock Band, Riddim Ribbon, and all others in the category. Every single song is a joy to play and listen to." Technobrains: "Thumpies delivers some intense fun that will keep you coming back again and again." 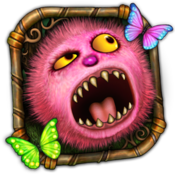 Toucharcade: "Thumpies is an amazingly creative game, and thanks to the multiple difficulty levels should be approachable enough for kids and challenging enough for adults. People are leaving absolutely glowing reviews of the game, and I find myself in agreement with all of them." Touchreviews: "...he whole game looks great with the just a position of the monsters and the butterflies being pulled off perfectly to create a musical game that will be loved by young and old alike." AppSpy: "Thumpies is a fresh breath of air in the rhythm genre that should appeal to all ages. The game is in a league of its own." Thumpies is a unique rhythm based music game for players of all ages. By correctly matching the beat of bouncing Thumpies, the player progresses through a song. Unlike typical rhythm based games, Thumpies uses a mechanic of bouncing in time instead of just a series of notes. Thumpies 1.0 is $4.99 USD (or equivalent amount in other currencies) and available worldwide exclusively through the Mac App Store in the Games category. With over 60 high profile games in its portfolio, Big Blue Bubble, Inc. is one of Canada's leading video game developers. Each of the company's three divisions (mobile, console and casual) is dedicated to making the best possible games by combining innovative design with top-caliber art and industry-leading programming. By maintaining a strong focus on the development of technology and showcasing it through award winning games, Big Blue Bubble, Inc. will continue to lead the way in becoming a cornerstone of the casual gaming world. Copyright (C) 2011 Big Blue Bubble Inc. All Rights Reserved. Apple, the Apple logo, iPhone, iPod and iPad are registered trademarks of Apple Inc. in the U.S. and/or other countries.